This post was written as part of my collaboration with eBay. The week before Mother's Day, I had a conversation with a guy friend who literally called me and said the following words "what do I get for my wife? And go!" Upon lots of questions (and his refusal to buy the high tech gadgets y'all know I recommend), I tried to get to the bottom of things "do you think she'd like this? What about that?". Ten minutes into it and we start to argue. He had in fact already gotten her something but wanted add on gifts (which isn't bad). Then he says "I only get socks and underwear for Father's Day". And that stopped me in my tracks. Let me just say I'm pretty sure he's having selective memory on this as I know his wife. But I was sad to hear that he hasn't been wowed by any Father's Day gifts. Enter my collections thanks to the eBayDad gift guide. I love gadgets. Love giving them and love receiving them. Here are some gadgets the man in your life will appreciate. If this phone was a bike, it would be a Ducati. Not that I want you to ever get a bike for your man but, you get the drift. You will also get awesome images with this little bad boy. Dad will appreciate being connected and having his documents always in hand (like the grocery list you can share with him in OneNote). Okay, I think that this would be a great gift for me but, if you must get dad a gaming system then this is the thing for you. Again, I'm thinking this will give you multi-use at home (you can do your Jillian Michaels work out on this thing!). Not that dad has to share his gifts but I think it's a good compromise for him to get this in your living room. These are great for home or work. He can chillax in front of the computer or the flat screen and take in a movie while you yell and scream at the kids. Or vice versa. Again, versatile! I have more gadgets over in my I Love It When You Call Me Tech Papa collection. Feel free to check it out for more memorable gifts for dad. And also, because I shop for my own dad on Father's Day, you can check out my Para Papi collection. It mostly consists of clothing. My mom always shopped for his clothes. And at the risk of hearing my dad sound like my friend, he really does need clothes. His new wife doesn't know how to dress herself let alone dress him. So, it's up to me to keep him in the comfy and age appropriate clothes Mami got him accustomed to. eBay is all about equal opportunity so now you can create your own #eBayDad collection and enter for a chance to win $500 to shop on eBay. 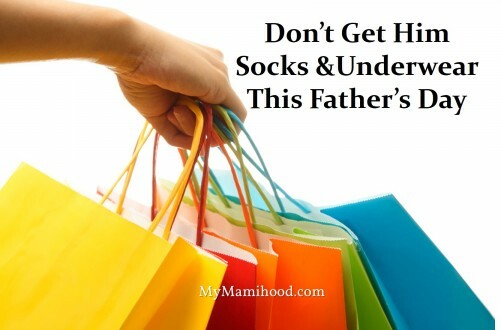 That means you can shop for more dad gifts! And a little something for yourself. Okay so tell me, what are you getting the dad in your life for Father's Day?